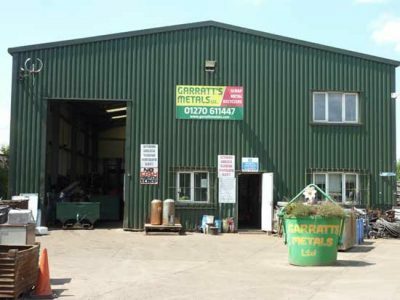 Garratt's Metals Ltd an industrial dismantler and scrap merchant. With increased business from all of the major railway companies, engineering industry and the farming community we moved to new, larger premises in 1999. This enabled us to give a more efficient service to our clients, which included the acquisition of a Harris 800 tonne shear, enabling us to provide a quick turnaround of scrap. All scrap, ferrous and non-ferrous metals are recycled. Purchasing of general domestic and industrial scrap metals. Railway rolling stock i.e. passenger carriages, locomotives, goods wagons. Steel framed buildings. Dismantling carried out with our mobile 40 tonne Euromech shear with a 500 tonne cutting force.